It’s true that smartphones are very useful to people and organizations around the world today. It’s an all-in-one device that many people can’t live without which is understandable as the smartphone can be used to perform various tasks. Apart from making voice calls and sending and receiving text messages, it can also take photos, send and receive emails and even work-related tasks. But the use of this smart and portable electronic device has its limitations. There are certain acts using the smartphone considered to be illegal that can result in fines and even imprisonment. These are things people need to know to ensure that they are not violating any law and are benefiting from their advanced mobile phones the right way. A McKinsey study on Mobility of the Future released in 2013 at the Detroit Auto Show has shown that 35 percent of respondents admitted using their smartphones while driving. Majority said they used the device in making and receiving calls (89 percent). The study also noted the other major uses of the smartphone while inside the car such as for navigation (68 percent), texting (39 percent) and using the internet specifically sending emails and social networking. In California, the mere act of texting or using the device without a hands-free gadget while behind the wheel is illegal. In the U.K., a research done by the Institute of Advanced Motorists (IAM) and Transport Research Laboratory (TRL) also noted that the dangers posed by using smartphones while driving are similar to driving when drunk or high on cannabis. 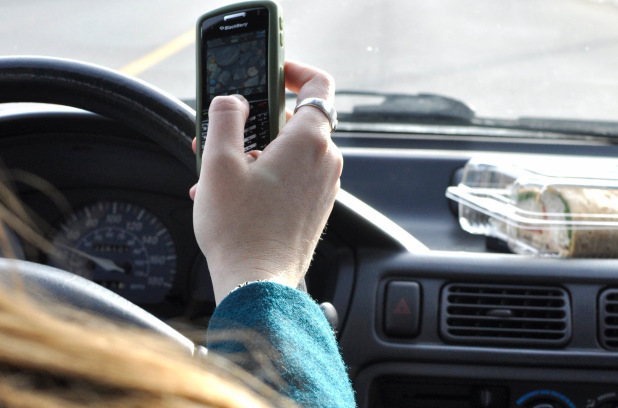 The study revealed that 24 percent of young drivers aged 17-24 admitted to using their smartphones for email and social networking while behind the wheel and the researchers found that their driving was badly affected due to the act. Using maps via one’s smartphone is also a no-no in California. 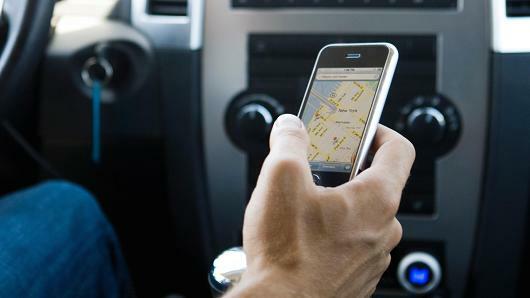 A judge in the state has ruled that using a smartphone’s map app while driving is illegal as it can cause distractions similar to when one is texting while behind the wheel. These map applications installed in a smartphone normally talk to the user telling him or her where you are going and where you need to go. As such, this may distract the driver from properly maneuvering the reason why the act has been considered illegal notably in California. Earlier, it was also illegal to unlock a smartphone due to violations to the Digital Millennium Copyright Act (DMCA). Based on the Library’s reviews, unlocking a phone would mean making changes to its firmware or the phone’s software that is copyright-protected and owned by your carrier. Just last week, though, U.S. President Barrack Obama signed into law the Unlocking Consumer Choice and Wireless Competition Act which now allows cellphone unlocking. The reason for this approval is due to the fact that numerous cellphones sold on the market these days are already unlocked giving people more choices. The use of smartphones has been found to be costly notably if users are not able to keep track of their usage. The Simon Resnik Hayes LLP law firm confirms that many smartphone owners go into debt after failing to pay their monthly bills on time. If at any time in the future you encounter financial difficulties as a result of your use of a smartphone, it would be a good idea to consult a financial advisor or legal counsel specializing in bankruptcy. Take action as early as possible to settle your issues.